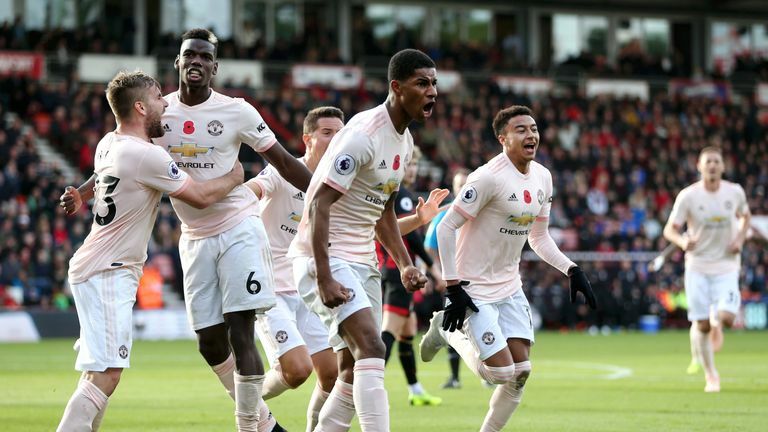 Gary Neville says he "loved" Jose Mourinho's celebrations after Manchester United beat Juventus and thinks the players are showing they are fighting for the manager. It was only a month ago that reports claimed Mourinho was facing the sack ahead of a home game with Newcastle. However, United fought back to win that match and have lost only once since. 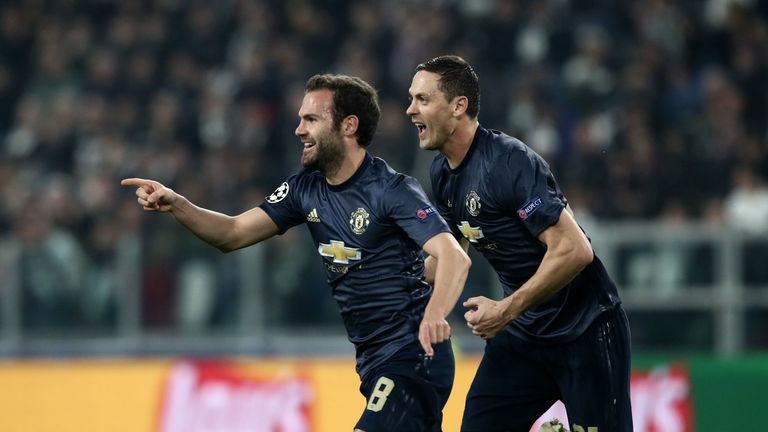 They geared up for the Manchester derby on Sunday - live on Sky Sports - with an impressive 2-1 comeback win at Juventus in the Champions League on Wednesday, a result that Mourinho celebrated by cupping his ears to the Juve fans while grinning. 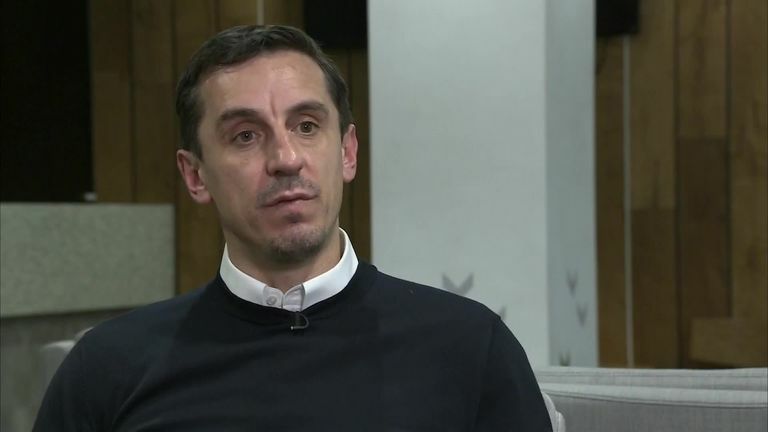 "Some people might may not like that but I love that about him," former United defender Neville told Sky Sports. "I think there should be reaction and passion at the end of a match. I even like his reaction at the end of the game against Newcastle, which the FA have appealed against. 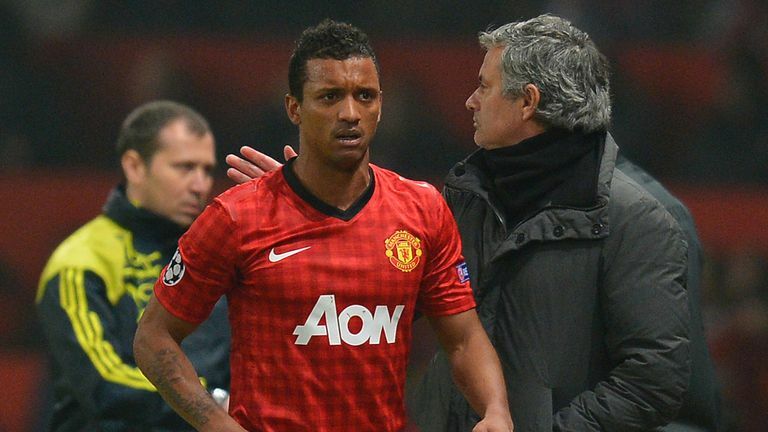 "To me, Jose's best qualities were always that he was impossible when he was losing and impossible when he was winning and it was always enthralling to watch and he always brought everyone along the line. "When I think of him in the press conference after the Juventus game and some of the one liners he came out with, compared to where he was a few weeks ago, and the day before the Newcastle game, that's a massive difference. He has hung in there and shown determination." While United's form seems to have turned since coming from 2-0 down to beat Newcastle 3-2 at Old Trafford, Neville thinks their 2-2 draw at Chelsea, where they were seconds away from winning, was an even bigger result. "It was getting close, it was feeling like something was happening and the world was collapsing around the team, the club, the manager and it felt like there was going to be a change, and I think the Chelsea game was the big one. "Even though you could point towards Newcastle, which was huge, nearly winning at Stamford Bridge and getting within a second of winning will have given the players confidence and since then they have grown and grown. "It hasn't been with incredible performance levels but with a real doggedness and determination. People were strongly suggesting that players were not with the manager a month ago. I never bought into that. "You don't win away from home or show the level of determination unless the players are there fighting until the end. Even though everything might not be perfect and there might be one or two issues that have been rumbling between Jose and players, I think generally the players on the pitch are showing they are fighting for the shirt, for the badge and the coaching staff." United have come from behind to win three of their last six matches, including away victories at Juventus and Bournemouth in the last week. Neville says he is "not surprised" by the character the team has shown, even if they are not dominating games from start to finish. "The performances are still not wonderful. I thought they played quite well against Juventus but the big thing is they have this resilience and doggedness which is a great quality to have. "We are not watching Manchester United at their free-flowing best, we are not watching Manchester United play anywhere near 100 per cent, but what we are seeing is they are hanging in games where they are getting outplayed and they are hanging in there at moments when they are getting outplayed. "Against Bournemouth, they could have been 3-0 down after the first 20 minutes but it was only 1-0. Things like that happen and then what they do is play in moments. They come alive in moments in games. Paul Pogba, Anthony Martial, or one of the other players, come alive and deliver a moment that means they are getting goals. "That is what's happening at the moment and it will be building confidence and belief and keeping the clouds away." Is Mahrez making City better? Bournemouth could have been 3-0 up, Juventus might have thought they were away, but Manchester City will be more aware than anybody that if they go into the last half an hour and United are within touching distance then they could get a shock.